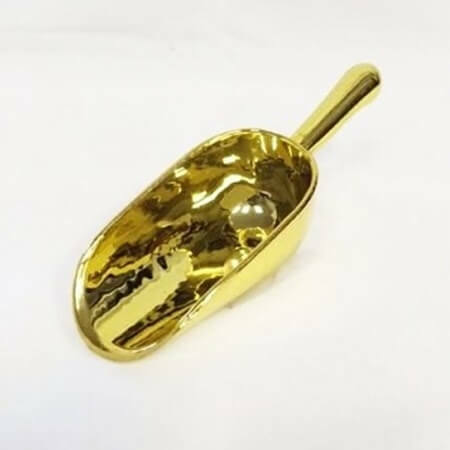 Gold Plastic Scoops are the perfect addition to your candy bin displays. Anyone shopping in your location can serve up the perfect amount of candy they want to buy without hassle. There is also a protection against contamination as hands never touch the merchandise. Scoops are a highly useful utensil in kitchen spaces, whether it's in the home, restaurants, cafeterias and bars. Dish up ice, popcorn, bulk grains and candy, baking ingredients such as flour and sugar. What are you waiting for? Order yours today!